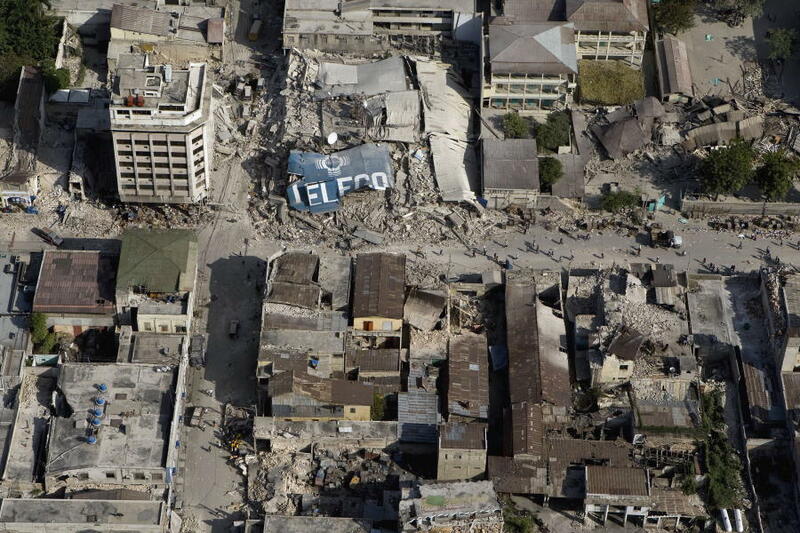 The golf course in Port-au-Prince has a new use after a 7.0 earthquake all but ruined the country's capital city. People who used to live in homes were forced to live in makeshift camps on the golf-course grounds. This photograph was taken on the 16th of January, 2010. Click on the image for a better view. Bos, Carole "Haiti - Golf Course Tent City" AwesomeStories.com. Oct 07, 2013. Apr 26, 2019.